Revisionists have been struggling for decades to get their messages out, with not much apparent success. Some say the reason for this is that they focus too much on heavily footnoted, university-style books, which are hard to read and will always merely cater to a tiny niche market. There certainly is truth to this. On the other hand, if revisionism isn't backed-up by solid scholarly research results, it cannot possible succeed either. So we cannot do without those tomes either. They are the solid foundation upon which any popularized rendering must be based. But where are these popularized presentations of revisionist findings? A picture tells a thousand words, and moving pictures rule today's world. Hence, the only way to reach a broader audience is by offering well-made and intriguing video documentaries. Yet there are very few videos – and even less videomakers – trying to convey the revisionist points of view. Why is that so? To find out, we have interviewed Dean Irebodd (aka DenierBud) who is the most prolific of the few revisionist videomakers around. He has been working together with Bradley Smith from the Committee for Open Debate on the Holocaust, who also have the courtesy to collect donations earmarked for Dean. The interview was conducted by Santiago Alvarez (SA). SA: Over the past seven some odd years, you have made a number of video documentaries on the so-called Holocaust. They have a revisionist stance, that is: they critically scrutinize the common narrative and strive to refute many of the claims made about this historical event. It goes without saying that this is not the usual approach people have to the Holocaust. Not believing the standard story is considered by the mainstream to be idiosyncratic and eccentric at best. 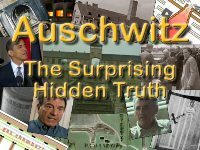 Have you always been skeptical about the standard Holocaust version, or was there any particular event that made you rethink what you had thought is true? In 1992, I went to buy some milk at the corner store, and saw a TV Guide Magazine on the checkout counter that had a cover story about how the "Kuwaiti babies pulled off incubators" story was a lie. I was floored. I had supported the 1991 Gulf War and remembered a friend of mine who had just graduated from UC Berkeley (and was also pro-war) telling me that he heard the Iraqi soldiers were doing that. Fast forward to the time of the Yugoslavia war of the late 1990's: by then I saw Jewish power and influence in media and education. I saw that the Jewish dominated San Francisco Chronicle newspaper was publishing pro-war propaganda pieces. Strangely, I still wouldn't be a holocaust denier for a few more years. SA: What, then, made you rethink that chapter of history? I'm not actually sure. It was around 2002-3. I remember the side-by-side comparison of the old plaque and new plaque at Auschwitz leaving an impression on me. I had stumbled upon photos of these plaques on a website run by a guy named "birdman." It might have been a Google search that brought me there. Some time after that I found CODOH forum (called revforum then), and they had a holocaust segment from the World at War 1970's TV series, which I remembered watching as a kid. That also left an impression. That forum helped me a lot in my thinking. SA: You use a pseudonym for your work. It is understood that this is the only efficient protection from the wrath of western societies, which ostracize anyone voicing dissenting views on this topic. Have you had any social repercussions from your work yet? No I haven't. My pseudonym protects me. The thanklessness and lack of donations is hard enough. I can't imagine persecution on top of that! LOL. SA: That brings up the next question I was about to ask: How did the “revisionist community,” which isn’t very large, react when you entered the “scene” with your first documentary called “One Third of the Holocaust”? Bradley Smith and the people involved with CODOH Forum were super cool as were some others. But a number of the most well-known people didn't want any dialogue with me. That surprised me, but on one level I'm not bitter, because you hear of this person or that person as revisionist legends, but you never know if they've put in their time and are sort of out of it by the time you contact them. Or I wonder if it's a certain personality type that can have the admirable bravery to state the truth and face persecution, but coming with that (or created by it) might be a lack of conviviality. If the latter is the case, I have empathy. I just try to focus on their contribution to the movement. Others don't fit either category because they were in jail at the time. As an aside, I'm pretty happy that I made contact with Ditlieb Felderer some years ago. He was very nice, and I enjoyed talking to him. He went off on a bizarre, yet interesting and exciting direction as an artist after his time in revisionism. I don't condone or get it all, but I find some of his post-active revisionist life fun, fascinating and admirable. SA: Have you noticed any change in attitude of your fellow revisionists over the past seven years? Not really. The people that were nice then, stayed nice, and the others who didn't want anything to do with me stayed that way, for the most part. SA: I remember that you publicly asked for people to refute your first documentary on the Aktion Reinhardt camps. What was the feedback on that? The ad had the headline "holocaust denial video debunked by you." It was strategy #2 to place an ad in the UC Berkeley student newspaper. My first ad promoted my video and I walked into their office and paid $1,000 cash to run it, but it was cancelled after 2 days. So the next thing I tried to do, since they still had my money, was place an ad that didn't promote my video at all, but simply asked for refutations. If I had got any, I would have published them on my website in their entirety. After 100 back and forth emails with them (I'm not exaggerating) and getting Bradley Smith on board to help me, they finally balked and wouldn't run it. SA: What is it that you are trying to accomplish with your videos? I'm trying to break the holocaust myth. SA: Why is that important to you? The holocaust myth is guilt for everybody. Watching Laurence Rees's BBC Auschwitz documentary, he had a lengthy section on Joel Brand and his being a liaison for the Jews-for-trucks deal. What baloney, but the angle was that the British were responsible for many of the Jewish deaths at Auschwitz because they held Joel Brand. It didn't surprise me that a BBC production had that angle. The Americans have their own guilt version of that: they never bombed the crematoriums, which Netanyahu made a reference to last week in a speech to AIPAC regarding possible war with Iran. I think the holocaust guilt replaced Christian guilt of the middle ages. We may be genetically dispossessed to feel guilty. It's a guilt-based lie, and it's a pro-war lie. That's part of it anyway. There's a lot more! SA: Your latest release is “Auschwitz: The Surprising Hidden Truth.” How long have you been working on that project? 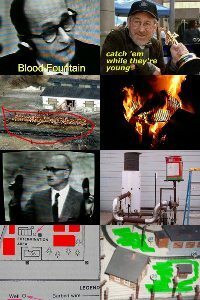 A year, including an earlier incarnation of the video which was an attempt at comedy. As a denier, sometimes the standard holocaust story comes off as funny to me and I tried to do something with that without it being mean-spirited. But mainly the comedy was primarily an attempt to get the video viewed in large numbers for a change. But when the large numbers of "views" didn't come, I decided I really didn't like the comedy part anyway, and turned it into a serious Auschwitz gas chamber myth movie, adding much more persuasive information. SA: Do you mind telling our readers who the two leading Holocaust experts were that have peer-reviewed your movie? Carlo Mattogno looked at it and called it "superb." There was another person but due to possible persecution I can't say who, nor can I say if that second person helped, contributed or whatever. SA: There have been a number of critical remarks about that latest video. If you don’t mind, I’d like to hear your answers to them. The first is your claim that Laurence Rees is the world’s most well-known Auschwitz historian. I do not know who decides that, but I think that Prof. Robert van Pelt outranks Rees easily when it comes to fame. I think Laurence Rees is the world's most well-known Auschwitz historian, because his book "Auschwitz. A New History" (2005) is the latest book on Auschwitz and won history book of the year in Britain. But a larger reason is his massive BBC documentary on Auschwitz which came out around 6 years ago, which had a budget of millions and was seen by millions. Rees wrote and produced it. SA: Granted, but ever since Prof. van Pelt testified during the 2000 Irving trial in London, he has been a celebrity. You don’t even mention him. I mainly used Rees for the same reason I used Dario Gabbai: to explain the standard story. I suppose I could have used Van Pelt for the same thing. SA: Another point of critique is that the wooden doors with which the homicidal gas chambers were said to have been closed had their latches bolted shut, if we believe a number of witnesses. You do not mention this. Wouldn’t those bolts have made the doors panic-proof? I think that's good criticism and I might consider changing the video to include that. I'd mention that the flat wrought iron arm, when brought down into a latch, was then screwed into the wall. One reason I never mentioned it is because Gabbai never mentioned it. Nor did I ever hear Mueller mention it; and in the photos in Pressac's book I never saw a hole in the wrought iron arm or any photo of that aspect anywhere. Screwing in a bolt makes sense for delousing because then someone wouldn't accidentally open the door to have a face of poison gas. But for a homicidal gas chamber, while strengthening the door, it wouldn't strengthen it enough. The door would easily bow because that screwed flat wrought iron bar isn't fastened to the other side of the wall, it's fastened to the middle of the door! Ridiculous design from a fortification standpoint. Maybe the latches wouldn't be the first to give, as the video states, but the door would bow from the pressure, the wood would break, or the hinges would give way. SA: “Auschwitz” is a huge topic, and I think you mention at the end of your movie in the written text that you have not covered all the topics that could and should be addressed. I’ve even heard people saying that you dodged some important issues. Can we hope for a sequel addressing some of the omitted issues? Maybe if some money came in I'd address other topics, but I don't see contributions likely happening. People don't understand that making a video is hard work. That's one reason why there aren't many of them. Zyklon-B-introduction holes in the roof is an interesting important topic, but as a videomaker, it seems like that would be its own 30-40 minute video segment. This revisionist concept is easy to understand, but difficult to convey. For instance I've never seen footage of someone with a video camera showing the wood imprint of the concrete, and panning (moving) for many feet showing how the wood imprint has continuity and doesn't break, and thus refuting the filled-in hole assertion. Also, there is a hole in the roof of crematorium II, and it has bent metal bars sticking out of it. Clearly the Germans wouldn't have had a hole like this. But it's also not a Soviet put-on. Rather the hole was likely made to look to see what was underneath. These are complex things to explain which would take 30-40 minutes of video time. SA: Have you any other future projects up your sleeve that you'd like to tackle? I may get out of this whole thing. Particularly with the lack of financial contributions. But also because there is a bit of rage and anger which comes with knowing the holocaust is a lie, and I don't want to take my personality in a curmudgeon direction any more than I already have. Maybe by getting out of this, I can go in the opposite-of-curmudgeon direction. I'm glad I did what I did. There is a major thankless aspect of my toils of the past 8 years, but also a wonderful aspect that you know you did something good for truth, good for peace, good for the German people etc. That you did what you could. SA: I think that well-made documentaries on this topic are of primary importance, but there are so few people who work on this. What do you think is the reason that not more young, idealistic people get involved, apart from the fear of becoming a social pariah? I don't know. 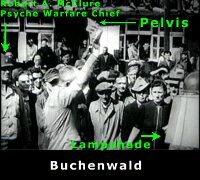 I was hoping there'd be a flood of such videos after I made "One Third of the Holocaust," but there hasn't been, with the exception of Eric Hunt's great video "The Last Days of the Big Lie." That there weren't others who made videos is disappointing. I thought it would happen. SA: How can our readers help you to produce more and maybe even better documentaries? Money. Basically. But there were a few leading revisionist figures who, had they been gregarious and willing to have a dialogue with me over the past few years, could have helped me to improve my videos. But to be honest, I'm not sure I'd want to talk to those people at this point. I have read some of their at-times-vague and vitriolic responses or noticed that others have said nothing regarding my 8 years of video and essay writing. The few detailed critiques of my work helped me a lot, but that was a rare occurrence. A few helped a lot, but most did not. I'm guessing the latter would want new people to make revisionist videos, but you'd never know it. SA: If lack of money is such a big issue, then why don't you sell your videos instead of giving them all away for free and even insisting that no one is allowed to charge anything for them? There is such a stigma against holocaust denial that people who might want to pay for it are too scared to lose anonymity by buying it, for instance by having to give their name, credit card number or mailing address. I'm trying to break the holocaust myth, so I want the most people possible to see it. Free is the best way for that. I use a lot of other people's work. The only way to do that legally is if one is making a video that is for education only and not for money-making purposes. If I sold it, I would lose the status "for educational purposes only." Selling it has a "preaching to the choir quality." Most people I want to reach would not be willing to pay for this because they are believers. SA: Is there anything else you want to say to our readers? I think Carlo Mattogno is so awesome. I think he's experienced thanklessness too for all his work. There are others too who I think are so great. Just to mention one more: David Cole who made a video on Auschwitz 20 years before I did. SA: Thank you very much for giving our readers the opportunity to hear about you and your work! Now, after reading this, wouldn't you think that Dean Irebodd's work is very important and worth our support? If that is so, please do all you can to help Dean to continue his work. Make a donation now by going to the CODOH website's donation page, and from the "Earmark" pull-down menu, select the option "Denierbud's videos (Dean Irebodd)". Editor's remark 2018: DenierBud no longer produces documentaries, but CODOH still does, so any donations made will support our various projects in this regard. Your help is pivotal to furthering the revisionist cause! Sources: Published as an e-newsletter of The Barnes Review on March 29, 2012; no longer posted on their website. First posted on CODOH: May 17, 2018, 4:38 a.m.